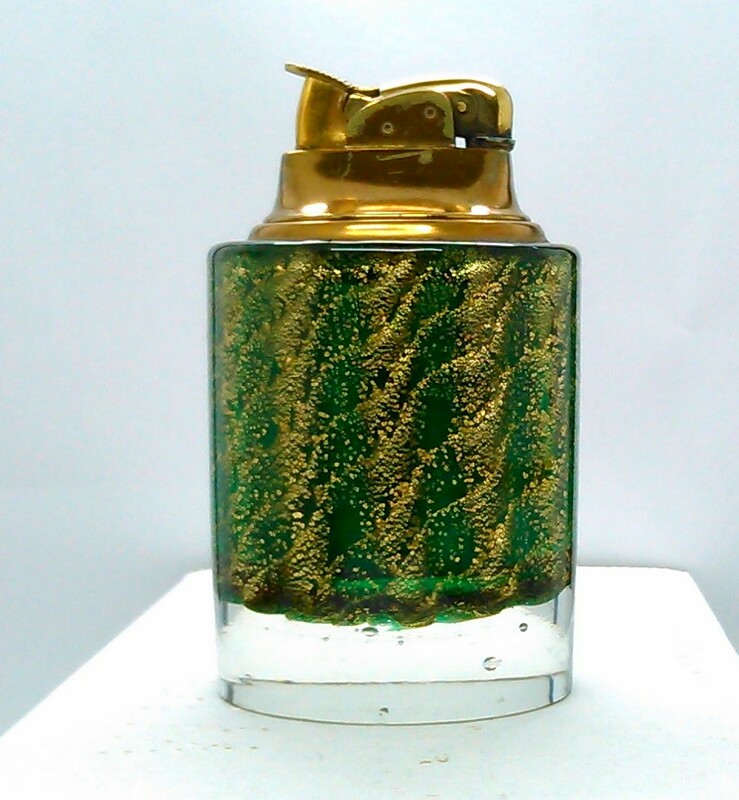 Murano green and gold art glass table lighter. 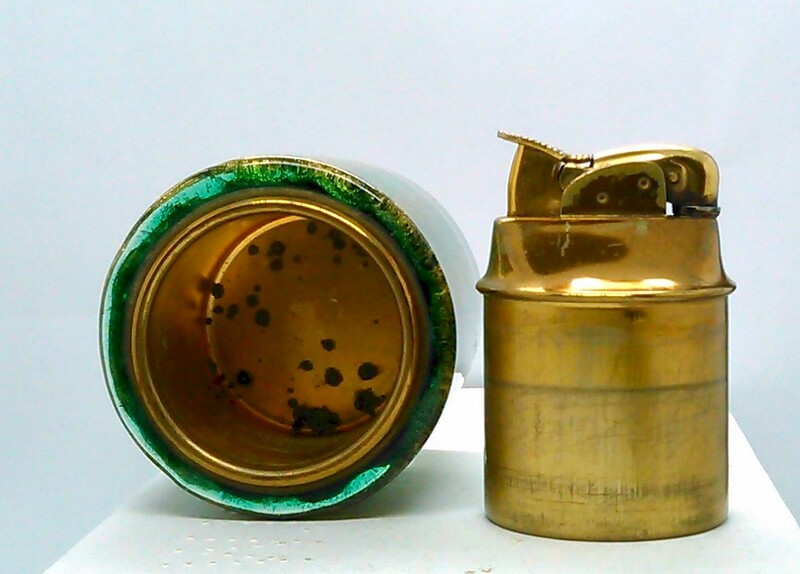 The metal lighter part does not appear to ever have been used. It is all there but does not spark. It has some spots on it. I am sure the metal is plated so this is common on these. I collect glass so never fooled with it. 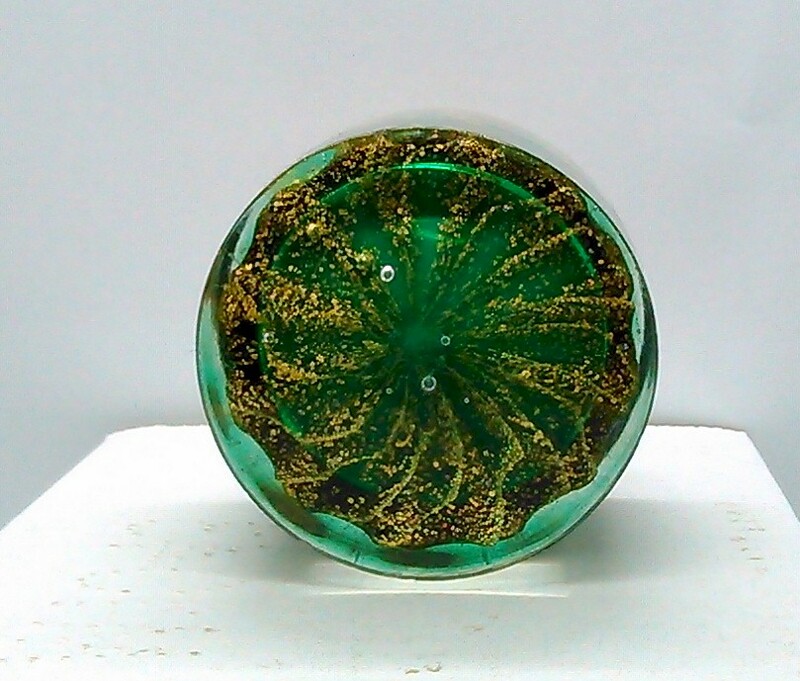 Size is 3.6 inches high, about 2.2 inches across. 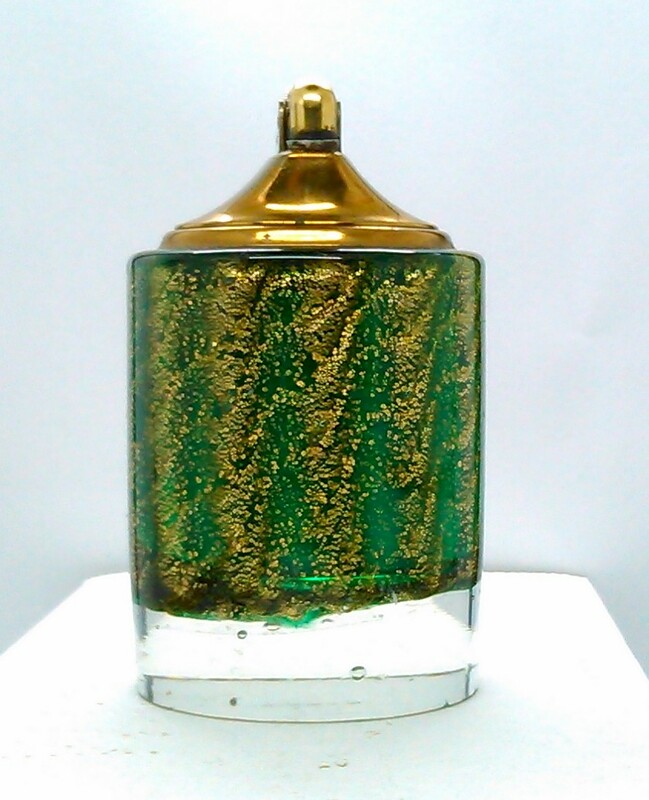 Coloring on this is green with gold wave pattern. Condition on the glass is very good. There is some very minor chipping on the edge of the bottom of the lighter. To be expected.